Think it’s too late to go to Antarctica this year? Not so! There are some fantastic discounts being offered on our remaining 2014 Antarctica cruises. We’re celebrating with a month full of fascinating stories about Antarctica that are sure to put this continent on your bucket-list, if it’s not already! 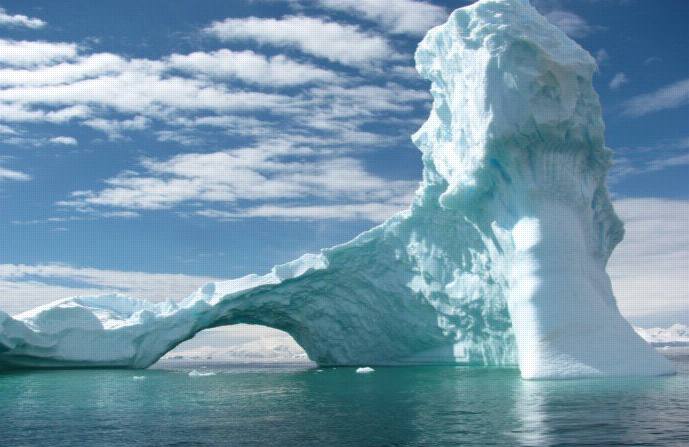 Enjoy these photos of Antarctic icebergs that will blow your mind. 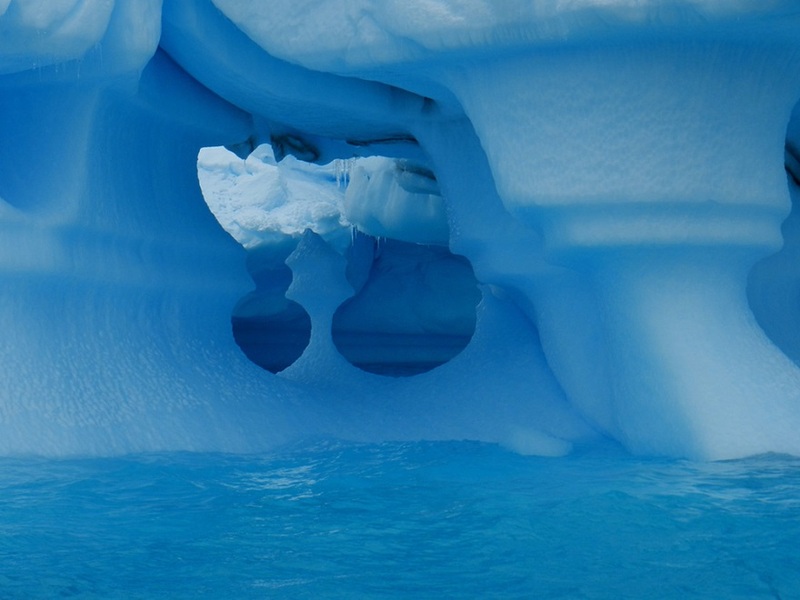 The Antarctic Peninsula is home to some of the most spectacular natural artwork on the planet. Here, you’ll find ninety-three percent of the world’s mass of icebergs, an ever-changing icescape of “growlers” to bergy bits and even ice islands. Growlers are the smallest icebergs, less than 6.6 feet across, with less than 3.3 of their mass showing above water. Bergy bits – that’s their real, official name – are the next size class, spanning 6.6 feet to 15 feet in size. These smaller chunks of floating glacier ice are often the result of larger icebergs breaking down. 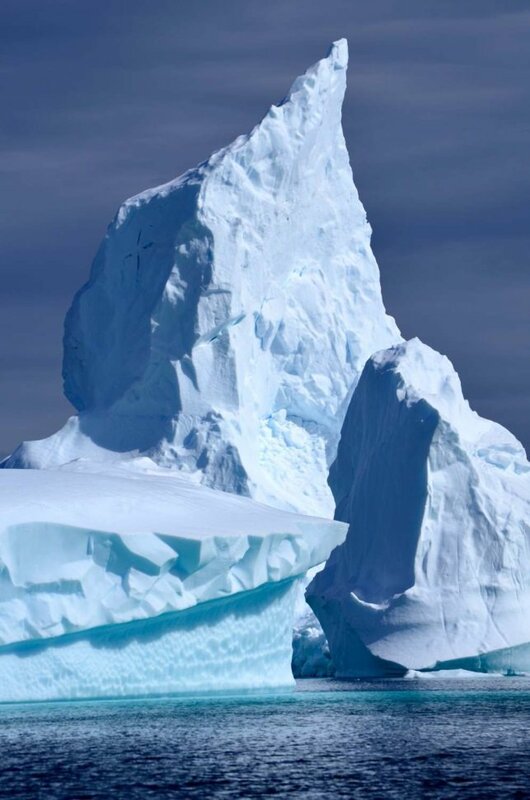 The icebergs you’ll see in the Antarctic Peninsula area are carved and shaped by unique climate conditions, resulting in the odd and spectacular ice art you see here. Pleneau Island, in particular, is one of the best places in the world to view icebergs, thanks to its location west of Booth Island at the northern tip of the peninsula. This area, known as Iceberg Alley, usually offers the best iceberg viewing and photography opportunities on your expedition. As the warm sun and surface air melt the exposed surface of the iceberg, small pools called melt ponds form. Thawing snow and ice drip and trickle down the iceberg, widening cracks and reshaping the iceberg. As summer goes on and the water warms, icebergs begin to melt from the bottom up, as well. 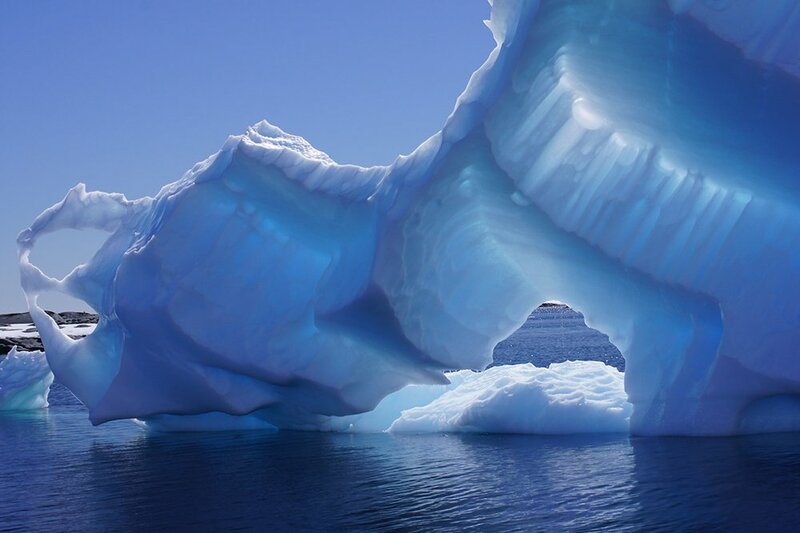 Water lapping up the sides of the iceberg can create tunnels and caverns beneath the top shelf of the iceberg. 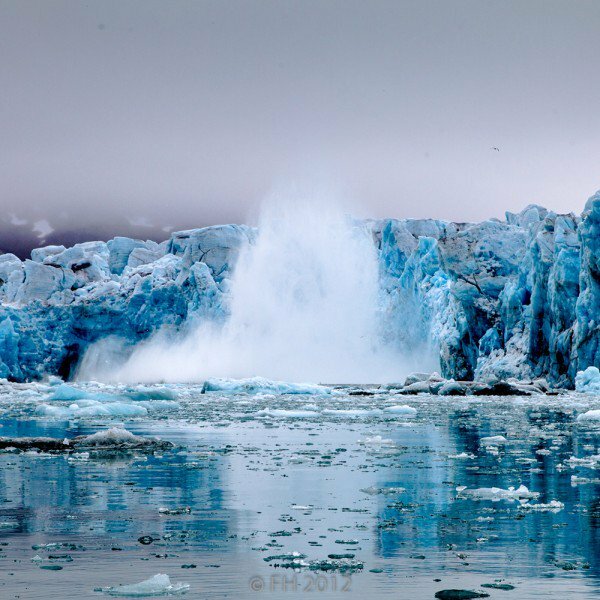 The color of icebergs changes, as well, depending on its makeup and inclusions. Most are blue, but eventually turn white as air temperatures change the volume of air bubbles in the ice. You may even spot a green iceberg, though these are rare. Icebergs are an important part of the Antarctic ecosystem; as they melt, nutrients carried from the ice shelf they originally calved from (broke away from) leak into the ocean. 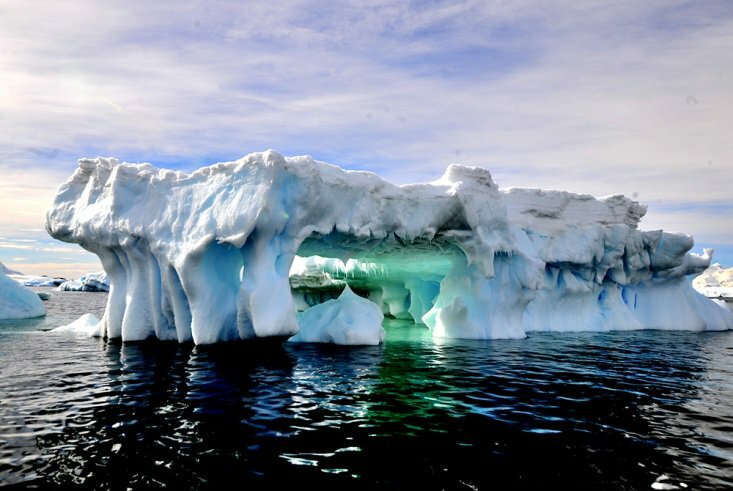 Researchers have found the oceans surrounding icebergs rich in plankton, fish and other aquatic life. The word “iceberg” is borrowed from the Dutch word ijsberg – the literal translation is “ice mountain.” It’s not hard to see why; check out this stunning picture from an area known as the Iceberg Graveyard in Pleneau Bay. Here, icebergs run aground and melt slowly, morphing and seemingly shape-shifting into formations ranging from perfectly geometric to abstract and dream-like. If you’re really lucky, these icebergs might even “speak” to you! As a piece of an iceberg melts, water works its way into compressed air bubbles deep in the glacier ice, making a fizzing sound known as the “Bergie Seltzer.” You might even hear a “pop” as the bubble bursts. A calving glacier, as it breaks away from an ice shelf, makes a loud crack and might even sound like thunder. Antarctic icebergs are a surreal sight. Join us in the Antarctic this season to get up close and personal with some of Mother Nature’s most spectacular artwork! 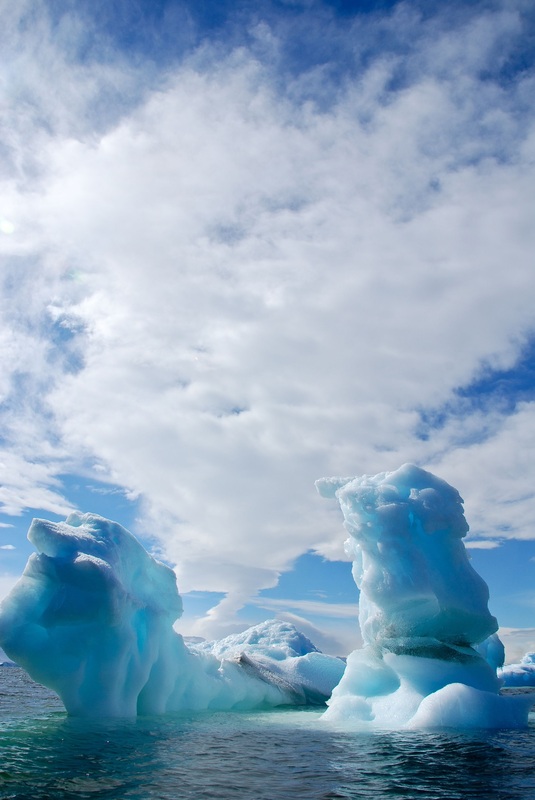 Right now there are some amazing discounts being offered on 2014 Antarctica cruises. But hurry, there are only a few spaces left on these 2014 voyages! This article was reprinted with permission from the Quark travel blog.